Conversations about radio’s evolving role in an on-demand world are inescapable. Yet, despite a variety of efforts for more than a decade, consumers continue to resist listening to significant amounts of linear programming on smart devices. Meanwhile, downward pressure on spot revenue, continues to increase. Whether we’re talking about audience size, consumption dominance, profitability or other key metrics, the numbers are overwhelmingly in favor of radio. Much can also be said about the incredible demographics working in radio’s favor, which advertisers tend to overlook in favor of placing ad buys on platforms with click farms and bot traffic. Meanwhile, our value proposition with advertisers has never been so compelling, our audience is built on three things: education, employment and income. The higher your education level, the more you work and the higher income you have, the more you listen to radio. These insights reflect research from Deloitte, which Tim Moore from Audience Development Group highlighted last week in his Midweek Motivator column. 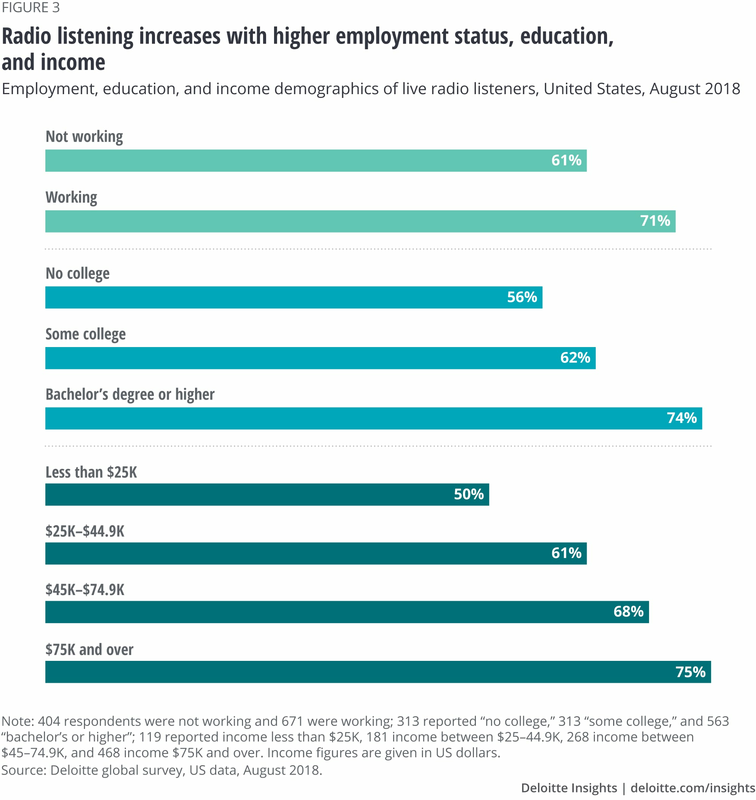 It tees up a very compelling elevator speech: the more education, employment, and income a person has, the more radio they listen to. This article Radio: Revenue, reach and resilience should be required reading for everyone working in radio as well as our advertisers. In addition, as the world grows more fragmented and individualistic, radio’s ability to deliver a shared experience becomes even more important and enduring. If you have teenagers using social media, you’ve likely heard about the growing amounts of research that connect usage with depression. 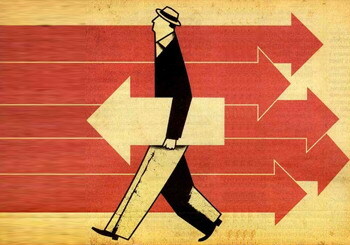 In social media, posts are almost always about self-promotion and curating the perfect life. Meeting a celebrity, taking an amazing vacation, front row seats. The list goes on. In reality though, there’s a very real cost. Turns out, we think that seeing or doing amazing things will make us feel better than people who haven’t; it actually makes us feel worse. It creates isolation and loneliness. These insights about the importance of shared experiences and being part of a peer group, are at the heart of our audience amplification strategy, which leverages Super-Fans of your brand to reach even more of your best listeners. By empowering your P1s to Surprise and Delight their family, friends and co-workers, while tuning in and enjoying “can’t miss moments” on-air, it taps right into the power of shared experience, which is fundamental to radio’s ongoing competitive advantage in an on-demand world. This entry was posted on Tuesday, February 19th, 2019 at 5:05 pm and is filed under Nielsen ratings, radio, radio marketing, Uncategorized, Vanity Metrics. You can follow any responses to this entry through the RSS 2.0 feed. You can leave a response, or trackback from your own site.